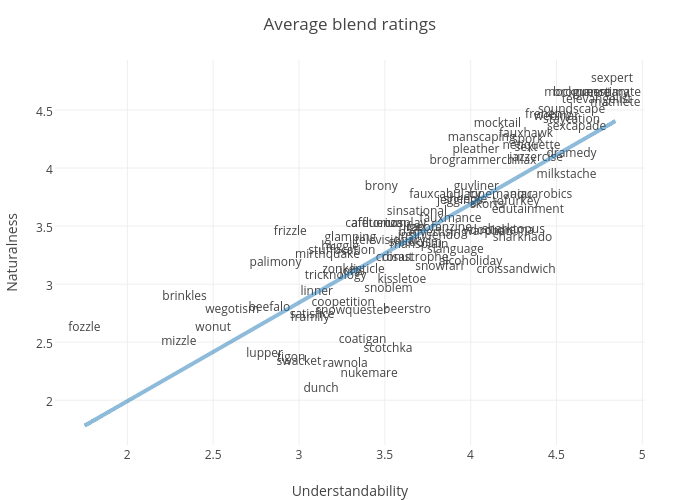 Constantine.lignos's interactive graph and data of "Average blend ratings" is a , showing Naturalness vs Naturalness - fit; with Understandability in the x-axis and Naturalness in the y-axis.. The x-axis shows values from 1.578125 to 5.015625. The y-axis shows values from 1.6140648944954628 to 4.930529092240176.